Light & Darkness Radio: Featured Today! "Accept, Tiamat..."
What a blasting response been having from you guys! Thanks to recommend L&DR to more and more people! Keep sending your requests and again Thanks to headbang with L&DR! Now Here's Today Featured Bands! Accept (DE) - The band’s career began in 1976, when the initial stable and professional line-up of Accept (vocalist Udo Dirkschneider, guitarists Wolf Hoffmann and Gerhard Wahl, bassist Peter Baltes and drummer Frank Friedrich) was invited to play at one of the first rock and roll festivals from Germany — Rock am Rhein. Following the festival, the band received their first recording deal. It was the self-titled Accept album. Friedrich and Wahl quit the band after the release of of the debut record, as they did not intend to pursue a professional career in music. They were soon replaced by new drummer Stefan Kaufmann and guitarist Jörg Fischer. This line-up proceeded to record the sophomore record, I’m a Rebel in 1980. The title track originally was written for AC/DC but they never released it. This was the album that finally brought initial media attention to the band. 1981 saw three major events in the early history of Accept. First, the acclaimed album Breaker was released. Second, a contract with manager Gaby Hauke was signed, an agreement that is still in effect today. Third, Accept joined Judas Priest’s world tour and obtained a fair amount of success, making the band known outside of Europe. The next album, Restless and Wild, was released in 1982. Restless and Wild saw an evolution in the band’s personality and sound, which incorporated several characteristics of a revolutionary new genre which would later be called “speed metal”. This recording however, did not include Jörg Fischer, who quit the band a short time before the studio sessions took place. Jan Koemmet was hired as Accept’s new guitarist, but departed from the band before the recording sessions for the album. The line-up was eventually completed with Herman Frank on second guitar. 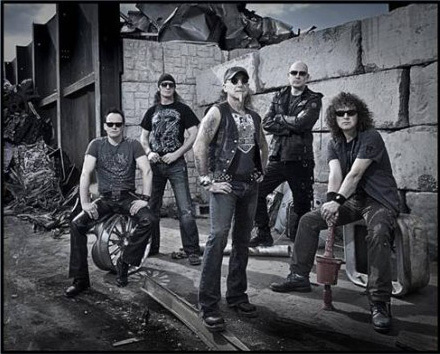 Accept became hugely successful with their next release, the now legendary Balls to the Wall album (1983). The new album would prove to be quite different from their earlier works. The album was conceptual in nature, and included songs that spoke about politics, sexuality and various human relationships. For example, the classic title track “Balls to the Wall” refers to slaves revolting against oppressing masters. “Fight It Back” is about the social misfits, fighting against conformity. All songs were credited to Accept and “Deaffy”. Deaffy was later exposed to be their manager Gaby Hauke’s pseudonym for her contribution to the band’s lyrics. She proceeded to compose the lyrics of all of the songs, with a few exceptions, from that album on. She did not officially reveal authorship of the songs until much later. During a show in their hometown of Solingen in 1983, the band ran into Jörg Fischer by chance. On Gaby Hauke’s insistence, Fischer was asked to rejoin the band once again. A world tour followed which would take them through all of 1984 — with the historic Monsters of Rock festival as a mid-year highlight. Metal Heart was released in 1985. Produced by Scorpions producer Dieter Dierks, it presented the creative career high for the band. Accept went on to tour around the globe in front of packed houses, soon documented by the live album Kaizoku-Ban. A year later, in 1986, Russian Roulette continued the series of critically acclaimed albums. But in 1987, in spite of their tremendous success, Accept and Udo decided together that Udo would embark on a solo career to pursue his own happiness. Supporting this decision, the songwriting team of Accept wrote an entire album for him. Accept and their management were eager to help Udo launch this solo career. That album was released in 1987 with the title Animal House under the band moniker U.D.O., a band that Udo Dirkschneider continues to tour with to date. During the work on Animal House, Accept had already started to search for and audition for a new vocalist. They soon found David Reece and so Peter, Wolf and Stefan set to work once more on new music. Udo’s solo career was having a good start, and guitarist Jörg Fischer again decided to leave Accept. Accept and their record company felt excited and confident with this new line-up and came out with the worldwide release,Eat the Heat. The career of Accept, unfortunately, came to a sudden halt when Stefan Kaufmann sustained a serious injury to his back in the middle of a tour. He was briefly replaced by drummer Ken Mary for the remainder of the short US tour. 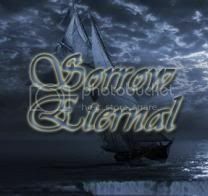 By its end, Hoffmann, Baltes and Hauke decided that without Stefan and with differences surfacing between the band and Reece, it was time to re-evaluate their next steps. Stefan, always a vital part of Accept, needed a long recovery time. So, by the end of 1989, the band had ceased its activities. The live album entitled Staying a Life that was recorded back in 1985, was released in 1990 as a souvenir from their career. During a visit to Germany a few years later, the musicians from Accept and Dirkschneider met and spontaneously decided to relaunch the band with the core members Hoffmann, Kaufmann, Dirkschneider and Baltes. The album Objection Overruled was released worldwide in 1993. The band’s reunion was a qualified success in Europe and the USA. A world tour followed. Another album, entitled Death Row, was released in 1994, but Kaufmann became unable to play once more due to his recurring back injury. The band invited Stefan Schwarzmann as a temporary replacement and commenced plans for their next tour. 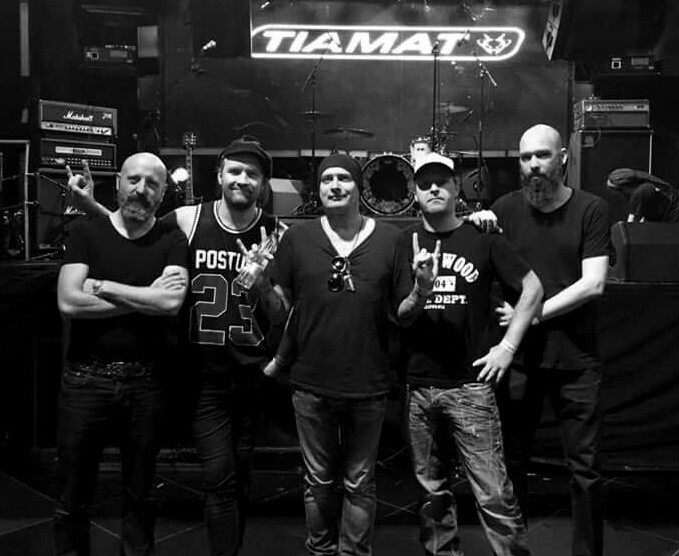 Tiamat (SE) - TIAMAT is without doubt one of the most interesting metal bands of our times. Formed in 1989 as a Death Metal band, the Swedes never cared about any genre conventions, making the first albums ("Sumerian Cry", "The Astral Sleep" and "Clouds") very inventive and special. TIAMAT included keyboards, choirs, clean guitars and haunting melodies, giving the music some Gothic approach. In 1994, the band released a very courageous album: "Wildhoney". To this day, this record is a real classic with it's own unique atmosphere. Even though this really experimental album can hardly be labeled as metal, the band gained very much respect in the scene - leading to high chart positions (29) in Germany and other countries. After three years of silence and the parting with bassist and co-writer Johnny Hagel, TIAMAT mastermind Johan Edlund created his very own vision with the groundbreaking album "A Deeper Kind Of Slumber". This record seemed like an up to date, modern version of PINK FLOYD including electronica, dub and trip hop, mixed with metal guitars and unique sound carpets. Some fans had their problems with this masterpiece, but they also had to admit that the album is sort of untouchable, because it's so mature and intelligent, that it leaves you stunned. 1999s "Skeleton Skeletron" (19 in Germany) was again an outstanding album with a style that nobody could expect: Straight (Gothic)-Rock with majestic and epic songs. The sound was more reduced, not filled with electronica, but still experimental and for sure fascinating and exciting. "Judas Christ" was even more reduced and to the point, including some dark folk and NICK CAVE influences to the really heavy rock-costume of the record. "Prey", released only one year later, took the style of "Judas Christ" even further and managed to include some old-school feeling to the songs, making it maybe their strongest record since "A Deeper Kind Of Slumber". After "Prey", it became silent in the TIAMAT camp. But if you listen to "Amanethes", the latest effort of the band, it becomes evident, that these five years of break were really worth the wait.